Autumn is clean-up time. A carpet of fallen leaves may look lovely but is a haven for overwintering pests, so rake them up and add them to the compost. 1. If fruit trees have had diseases like peach leaf curl, do not compost the leaves, as this keeps the nasties alive over winter. As dahlias and perennials finish flowering, cut the foliage down to ground level, weed and apply compost or a mulch of pea or barley straw. 2. Don’t leave odd potatoes in the ground. 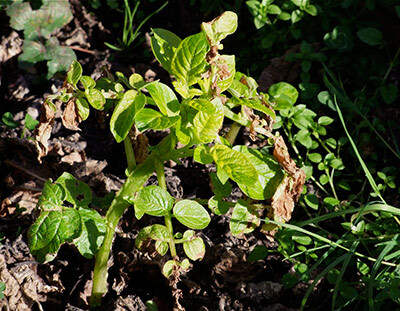 The odd “volunteer” spud will produce the earliest possible crop but the downside is that they can be reservoirs for disease, including tomato/potato psyllid (TPP). Dig out capsicums and tomatoes that have finished fruiting, as they are also TPP hosts. Poroporo harbours TPPtoo, but is more susceptible in summer when growth is at its peak. 3. Broad beans sown in autumn give the earliest crops. The seeds can germinate at very low temperatures and although they make little growth over winter, especially in colder parts of the country, they leap away when the soil warms up in spring. 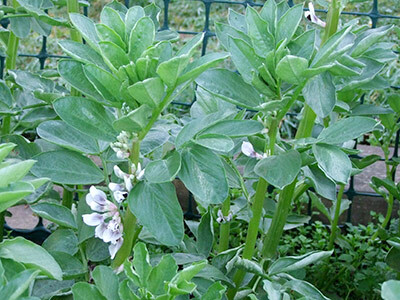 Autumn-sown broad beans are generally more resistant to rust. 4. 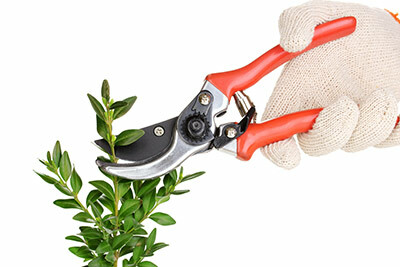 When deciduous shrubs, such as azaleas, lose their leaves, it is easy to see what needs to be done to improve a plant’s shape, so some light autumn pruning to get rid of lopsided growth is recommended. Every cut thicker than a pen should be dabbed with pruning paste to prevent disease getting into the tree. 5. 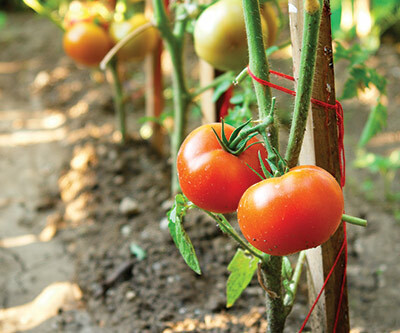 As tomatoes and other greenhouse crops get to the end of their run, remove the plants and replenish the soil by digging out the old growing medium (it makes a good top-up for the vegetable garden) and replacing it. Tomatoes and capsicums can be grown in pots or bags, which use a little less of the special mix in which they thrive. 6. Autumn-sown sweet peas give an early show. Unlike garden peas, which don’t care for heavily fertilised soil, sweet peas will gobble up well-rotted manure and – as a result – produce bigger flowers. The old system was to fill a trench at least 30cm deep with stable manure and top it up with earth. 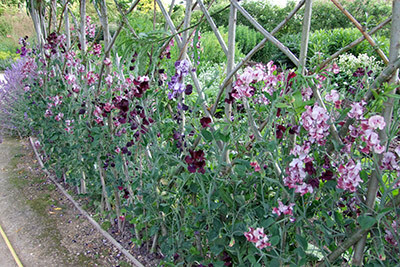 The modern gardener may prefer simply to add lots of compost where the sweet peas are to grow. 7. 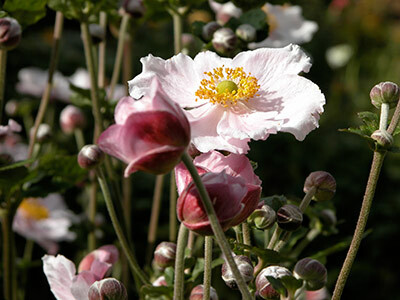 Some perennials, notably Anemone hupehensis var. japonica (pictured) and chrysanthemums light up the garden in autumn. Many attract bees and butterflies. 8. Some climbers don’t get a second glance until their leaves turn to flame before falling. 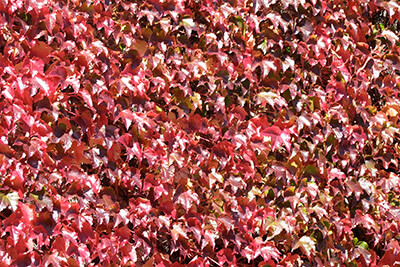 One of the most popular is the Virginia creeper (Parthenocissus quinquefolia), pictured, whose name denotes its origins in the eastern United States, although strangely Boston ivy (P. tricuspidata) is native to Asia. Of the ornamental grape vines, Vitis vinifera ‘Purpurea’, has better-than-average foliage, starting olive green before turning purplish-bronze in summer and claret in autumn. 9. Fire up the garden with trees that have rich autumn foliage tones. 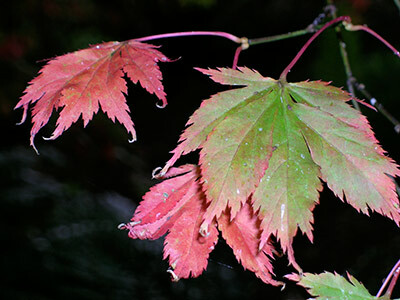 Claret ash (Fraxinus oxycarpa ‘Raywoodii’), English beech (Fagus sylvatica) and scarlet oaks (Quercus species) are suitable only for large properties but other gardeners can opt for the Japanese maples (Acer palmatum), pictured, and flowering cherries such as ‘Accolade’, ‘Falling Snow’ , ‘Kanzan’ or ‘Hillieri Spire’. These smaller trees also have interest in spring from leaf colour (the maples) or flowers (Prunus cultivars). 10. Enjoy autumn-flowering bulbs and think of planting more. 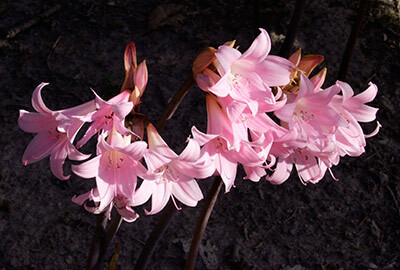 Consider naked ladies (Amaryllis belladonna), pictured, nerines (red, pink or white) or little Cyclamen hederifolium. Colchicums, which are not related to true crocuses, are sometimes called autumn crocuses, as is yellow-flowered Sternbergia lutea. Two true crocuses that flower in autumn are saffron (Crocus sativus) and C. speciosus, which has fine pale lavender flowers, just like the spring ones, but much longer leaves.